This bib is called Woodland Critters. 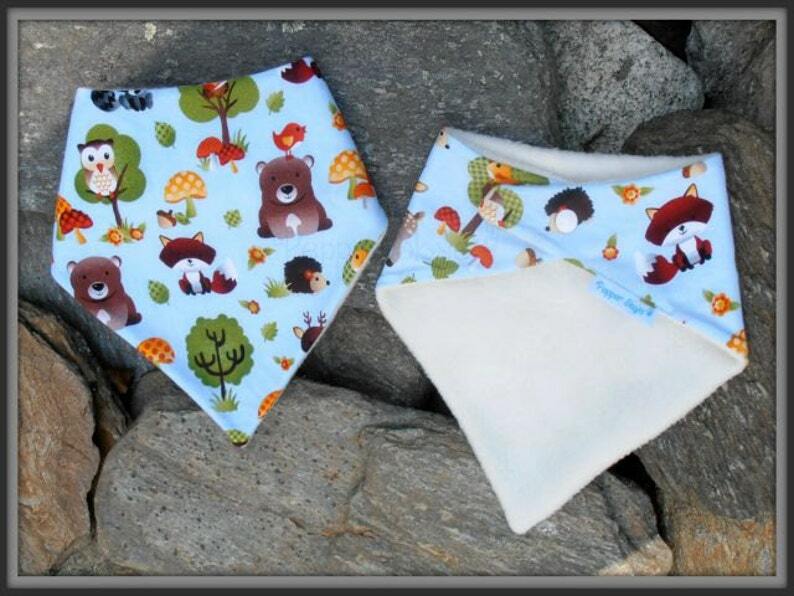 It has cute animals like foxes, bears, deer & hedgehogs mixed in amongst the trees. Backed in white fleece with a matching plastic snap. The print on the bib will differ due to how the fabric is cut. Please message us if you want a specific critter shown and we will try to accommodate your request.